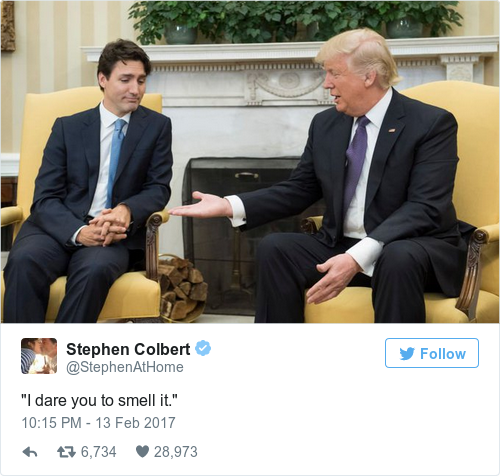 CANADIAN PRIME MINISTER Justin Trudeau was in the Oval Office last night to meet President Trump. 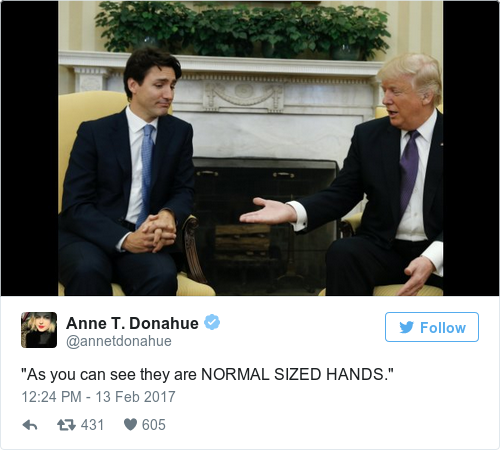 Donald’s handshakes have been the talk of the town lately, following his 19-second-long Curb Your Enthusiam-esque greeting with the Japanese PM last week. 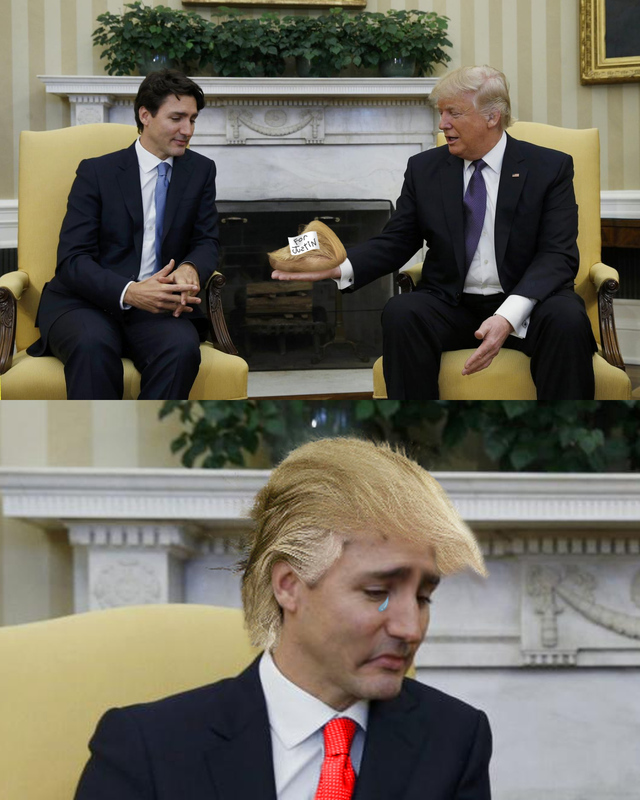 Just before he went to shake Trudeau’s for the cameras yesterday, the photographers caught a moment of apparent hesitation. Poutine as the new diplomatic tool in these strange, uncertain times. 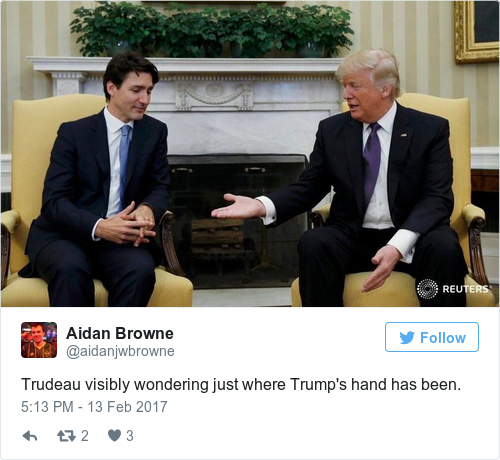 Email “Justin Trudeau’s shady look at Trump’s hand has become THE moment of his White House visit ”. 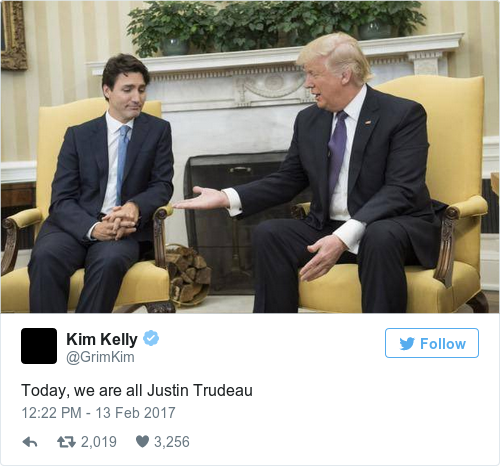 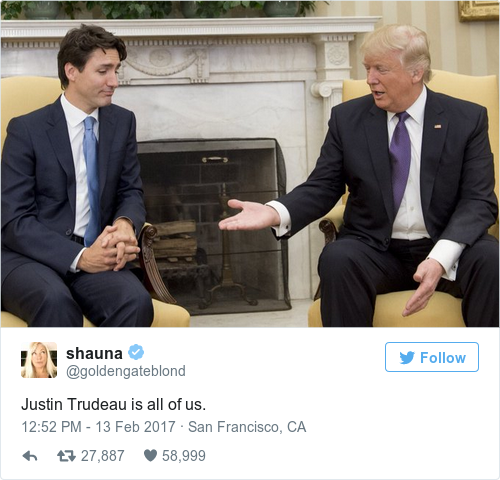 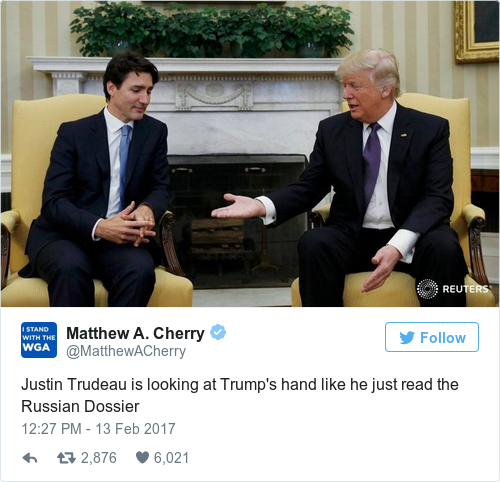 Feedback on “Justin Trudeau’s shady look at Trump’s hand has become THE moment of his White House visit ”.